I created a treasury on Etsy! I called it “Earthy Bracelets” because those are the colors I am drawn to. 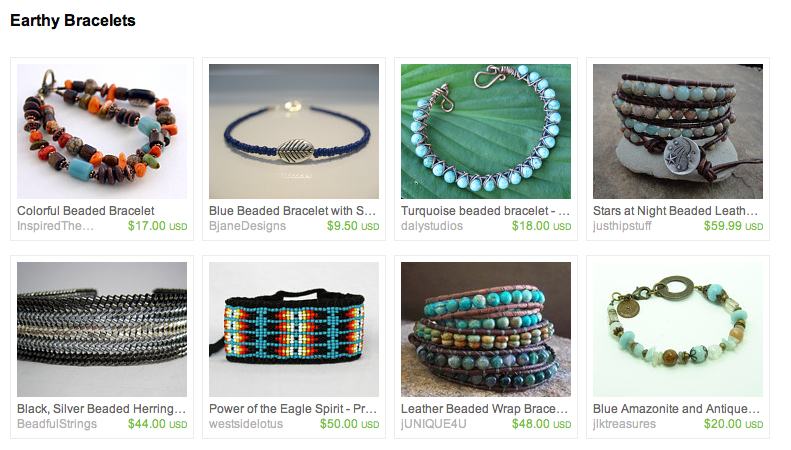 I wanted to try out treasuries, started browsing bracelets, and it was born! There are a lot of really great ones there. I noticed that the leather wrap bracelets with beads in the center are pretty popular right now. Now, if only I didn’t tend to lose a jewelry that I have. Click here to go to Etsy to see the full treasury.